I just started law school. My free time is fairly non-existent, which means that my time spent reading is even more non-existent. I never in a million years thought that, on the rare occasions I do get to read, I'd turn to non-fiction. Yet, here I am. Beyond that, most of my reading has been focused on how to manage my life. I have far less time than I used to for things. I'm in the position of choosing very carefully how I spend my time because I have so little time for everything that's not law school. But there are so many things I'm wanting to get into my day--exercise, leisure reading, cooking, and other activities that I enjoy. So I've been reading and rereading a lot of books about time management and changing the way I think about and approach problems. 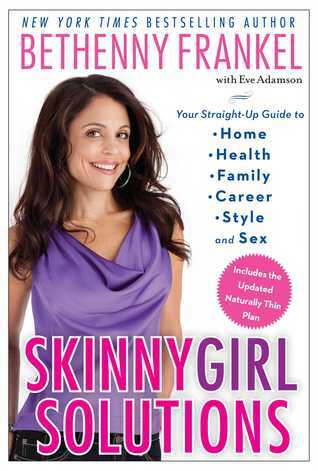 SkinnyGirl Solutions by Bethenny Frankel I've flipped through this one a few times since it came out. It covers a great variety of things--health, daily life, and career. One of the things I love about Frankel is her conversational, completely honest approach. I feel like I'm having a drink or two with a girlfriend (sidenote, I initially typed "having a drunk"; clearly we know where my mind is!). I also like how Bethenny talks about the struggle to achieve work-life balance. I am definitely feeling that right now! I love how she emphasizes health and taking care of yourself as an integral part of doing 84,000 other things. If you aren't healthy, you can't do anything else. This is something I definitely need to work on. 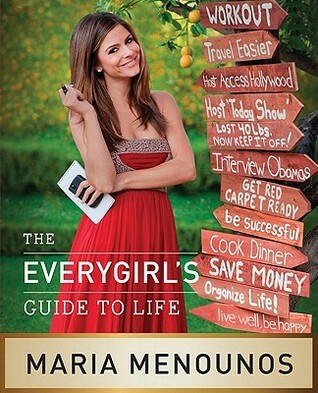 EveryGirl's Guide to Life by Maria Menounos This one also covers the gamut. I love how Menounos is very much a self-made woman. I love the amount of space in the book that she uses to discuss organization--and on a budget at that! She also talks a lot about being a one-woman business, which I kind of feel like I am right now. She tackles style, emotional relationships, and health as well. She has a follow-up book on weightloss. Her approach to weightloss (but really, also everything else) is very down to earth and totally affordable. She literally is the EveryGirl. 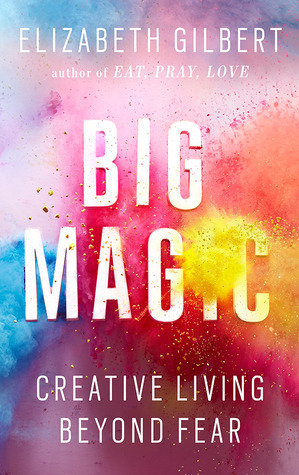 Big Magic by Liz Gilbert I pre-ordered this one and am so excited to pick it up! It deals with creativity, yes, but I thought it might have some interesting applications with legal thinking. If not, oh well. But I really think it will help me get in the habit of thinking outside the box and help me develop the artistry that really can be the legal profession. The books discusses attitudes, approaches, and habits that foster creativity. I really enjoy Gilbert's writing, so I definitely look forward to reading this one. 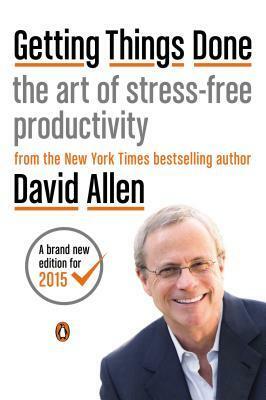 Getting Things Done by David Allen I remember several people raving about this one in the not too distant past. Like I already mentioned, I have a lot going on that I must do and a lot that I would like to add in. I've been feeling like I've had a time management problem. I ordered the book immediately. Can't wait until it gets here. I did some more research on the system this afternoon and I think it will really help. It's supposed to help you organize your thoughts and to-do list and help you make the most of your time. I listened to a TED Talk by Allen today that, I think, kind of previewed some of his philosophy and it was fantastic. I took notes. Now I just need to decide which book to read first! WHAT LIFE ORGANIZATION BOOKS DO YOU RECOMMEND? My son is in 2L law school. I gave him the below linked book, 1L of A Ride, for his birthday last year and he referred to it often, among other books, to help get acclimated in law school. It is a very worthwhile purchase we can recommend. Much success to you! I've only heard of the Elizabeth Gilbert one (if you get to it before me let me know what you think!) but def checking out the others. I feel like a hot mess right now. I'm wanting to read the Elizabeth Gilbert one, too. I'm looking forward to hearing what you think of it.